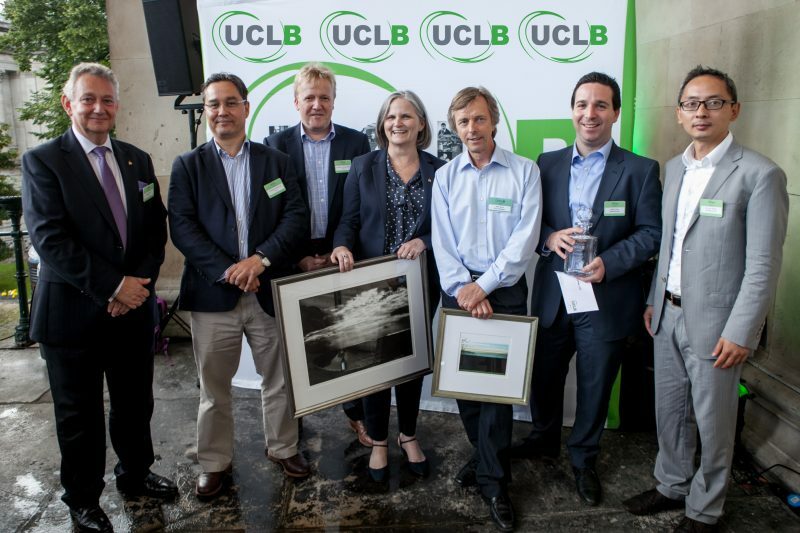 Professor Geraint Rees, Dean of the Faculty of Life Sciences at UCL, who presented this years winners of the UCL Business Award and the One-to-Watch Award with their prizes. 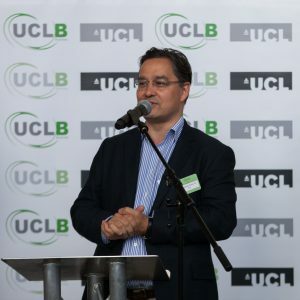 The UCL Business Award was presented to Professor Robin Ali for his work on Athena Ltd, a biopharmaceutical company focused on the development of gene therapies to treat a range of devastating eye diseases causing blindness. Athena has entered into a global partnership with MeiraGTx Limited to develop and commercialise Athena’s ocular gene therapy programmes. 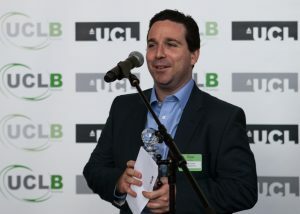 MediaGamma Ltd were the winners of the UCLB One-to-Watch award. A data science spinout from the Department of Computer Science, MediaGamma has built an Audience Decision Engine, where the “Audience” are viewers of online ads. The Decision Engine uses Machine Learning to provide information to digital ad trading platforms about the expected behaviour of a person potentially about to view that ad. This helps to inform the real-time decision-making process of the bidding algorithm as to whether or not to show a particular ad to a particular person. The company was founded by UCL’s Jun Wang and CEO Rael Cline and is the first recipient of Proof of Concept funding from the UCL Technology Fund. The presentations were wrapped up with the winners of the UCLB prize draw. This year’s winners were Nick Wood, EuroTempest, and Professor Deborah Gill, UCL, who both received an exclusive signed print from the UCL Slade School of Fine Art.